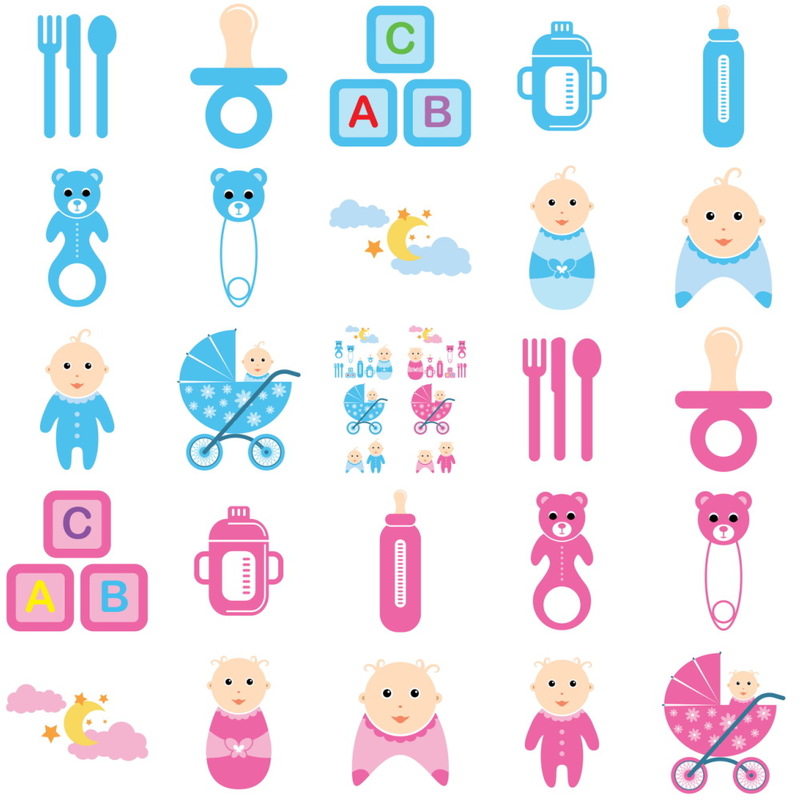 Baby time vector selection including, baby boy and baby girl, baby toys, bottle, soother, etc… Useful as clipart for your designs, website, blog, scrapbook,… Have fun using! So tender, thank you alot. Thanks a lot, I´m making a school homework about a kindergarden and this gonna make it look great! Thanks again! These are great baby vector files. I could see a company producing a whole set of packaging for a range of baby toys or gifts using the style on their packaging. muy lindos, y espectaculares para esa ocasión tan especial. Felicidades!!!! very big thank you for this free vector baby designs.